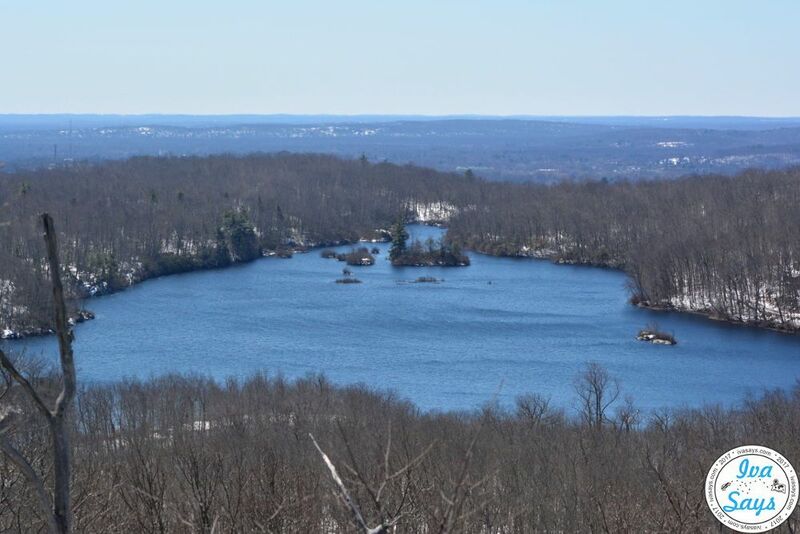 Ramapo Mountain State Forest is a very popular hiking destination in New Jersey. The Ramapo state park is in Oakland, New Jersey – part of Passaic and Bergen counties. 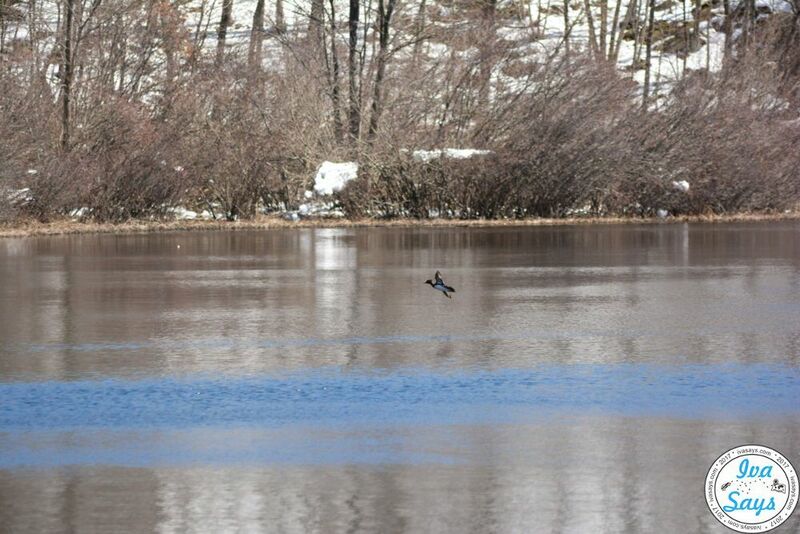 It has over 4,000 square acres of forest and is a home to many birds and animals in New Jersey. What makes it so unique and popular among hikers, is the abandoned castle and tower that sit on top of the Fox Mountain hill in the forest. Winter sports: ice fishing and cross-country skiing. Recommended: Read about the Buttermilk Falls in Layton, NJ. The mysterious, abandoned castle that sits on top of Fox Hill is known as the Van Slyke Castle. The Van Slyke Castle story behind revolves largely around Ruth Cole, who was a nurse in the 1900s and had multiple husbands, which ended up building this enormous house for her. It was her second husband, William Porter, was a stockbroker, who began building this mansion on the Fox mountain (Fox Hill – therefore some refer to the Van Slyke castle as Foxcroft Castle). Her husband, Mr. Porter, died before it was finished. She re-married to an attorney, Warren C Van Slyke, in 1913. Mr. Slyke completed the house and the Van Slyke castle was born. Once Ruth passed away, the house was left without an owner for multiple years. Then several times, the house was purchased, resold, and left without an owner. Until finally in 1959, the abandoned mansion in NJ was burned down by vandals. The remains of it, its pool, and a water tower nearby are now all part of the Ramapo Mountain State Park. 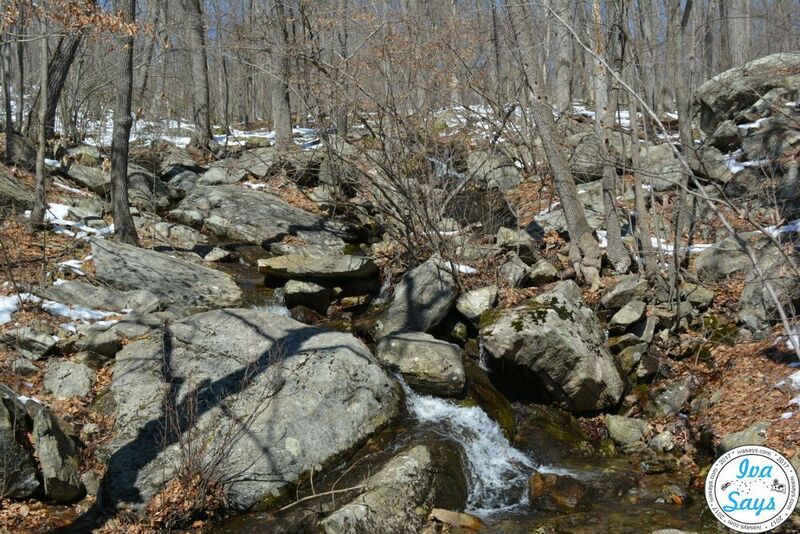 The hiking trails in Ramapo’s State Forest are not the easiest. 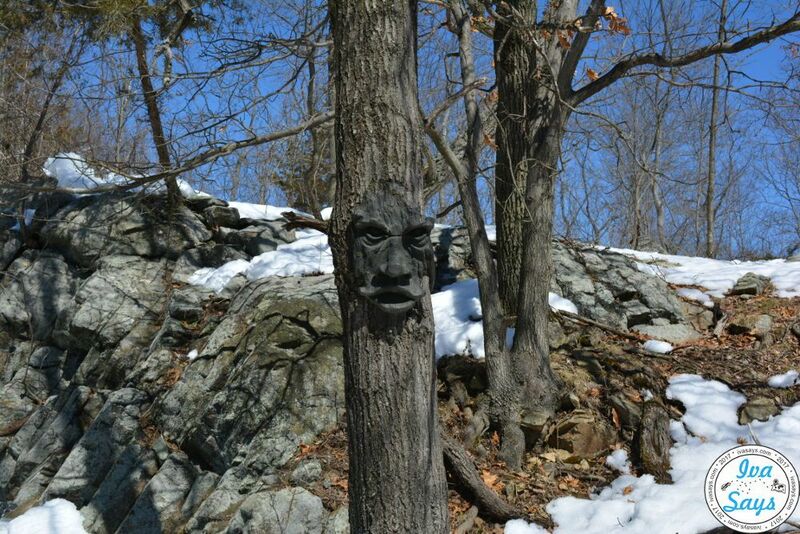 Majority of the Ramapo hiking trails are marked as difficult by the NJ State Park and Forest department. If you have a heart condition or any other physical conditions, take it easy and rest a lot. A lot of the hiking trails are downhill/uphill with lots of rocks to climb over. 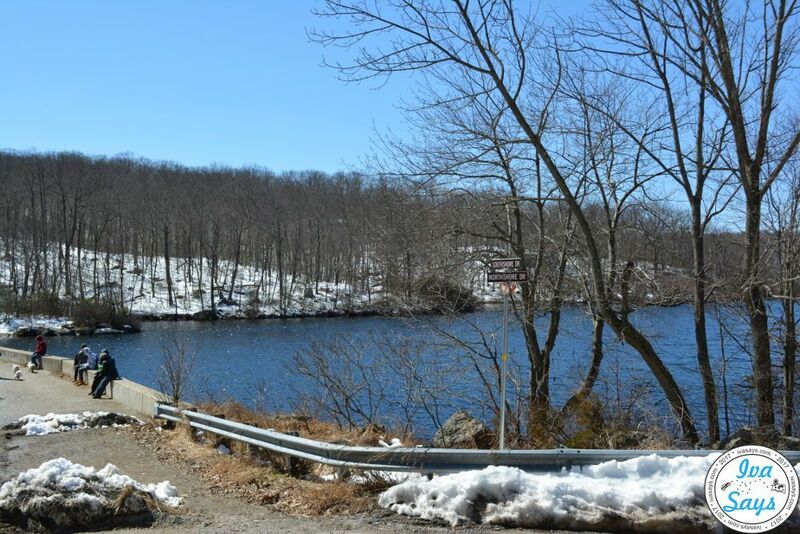 The easiest way to reach the Van Slyke castle and the tower, even though it might not be the shortest, is through the Rye Cliff Road and around Ramapo Lake. This Ramapo trail goes by the Ramapo Lake, which is mostly either an asphalted or a flat, dirt road, making it easy to walk on. I recommend parking your car in the upper parking lot. From there take Rye Cliff Road. There are a few side roads, but don’t take them just continue down until you see a house straight ahead. There will be a sign for the lake. Continue down the road, this leads you to the Ramapo Lake hiking trails. When you reach the lake, turn right (Northshore Drive) to start going around the lake. Don’t cross the bridge. As you walk around the lake, the road will separate left to continue around the lake and right to go up the mountain. Turn right and start going up the hill. 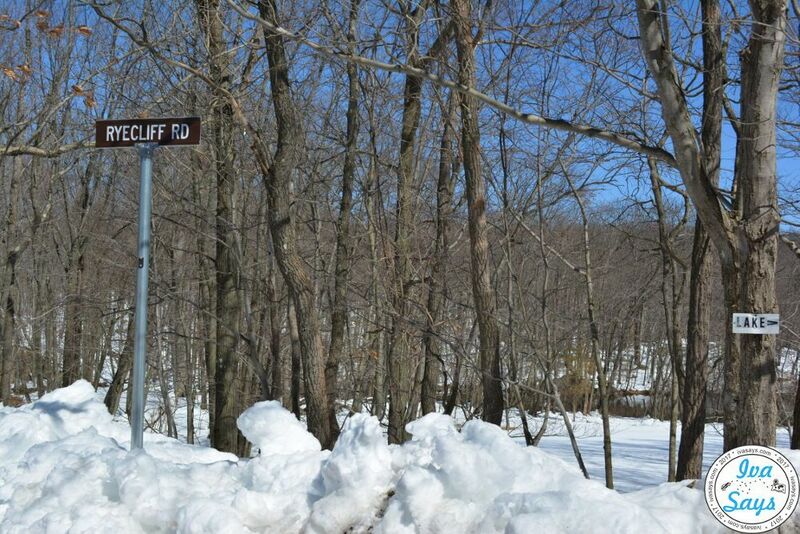 This is Foxcroft Road, which will lead you to the White trail also known as the Castle Point trail. Around the first major curve in the road, you will see a sign for the Castle Point trail on the left. The trail starts right behind the sign. This is where the trail gets difficult. It is all uphill, and the steps are small because there are a lot of rocks. If it rained the night before, be extra careful because it will be muddy and slippery. 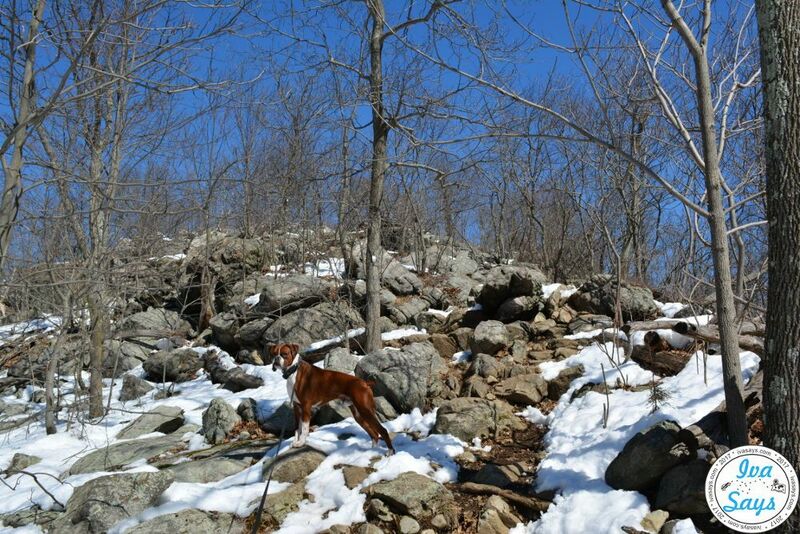 My boxer climbing the Castle Point Trail. When you climb to the top of the hill, you will see the Van Slyke Castle. As you go around it, the ruins of the pool will be on the left. Across the pool, to the edge on the right, you will be able to get a clear view of the New York City skyline by the Van Slyke castle ruins. If you take the path from the pool all the way down, about ¼ of a mile, you will reach the Water Tower ruins. 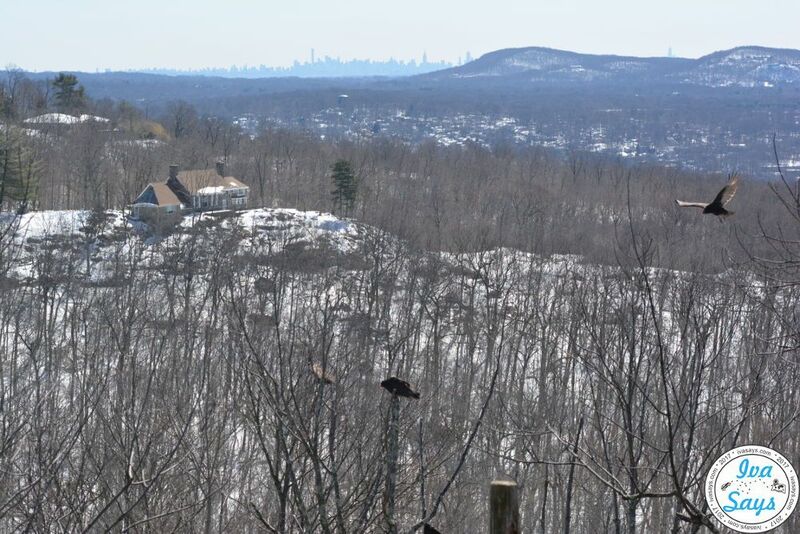 Ramapo state forest is highly populated with Turkey vultures. You will notice them flying around the Tower and the Castle, even over the lake. There are, also, lots of ducks in the Ramapo Lake. Bears are present in the forest, so be careful! Always carry a bear spray when hiking in NJ forests and parks. Directions: Take Interstate 287 to exit 57. Then follow Skyline Drive to parking lots on the left (lower and upper parking lots). Parking: Lower and Upper parking lots on Skyline Drive. The lower parking lot is located ¼ mile from Interstate 287 North (Exit 57). The upper parking lot is located ¼ mile above the lower parking lot, on the left as you drive up the hill toward Rye Cliff Road. Pets: Allowed. Please keep dogs on a leash, there are residential houses around the forest, and carry-in and carry-out yours and your pet’s trash. Restrooms: Located in the lower parking lot. The upper parking lot does not have restrooms (updated 2018). 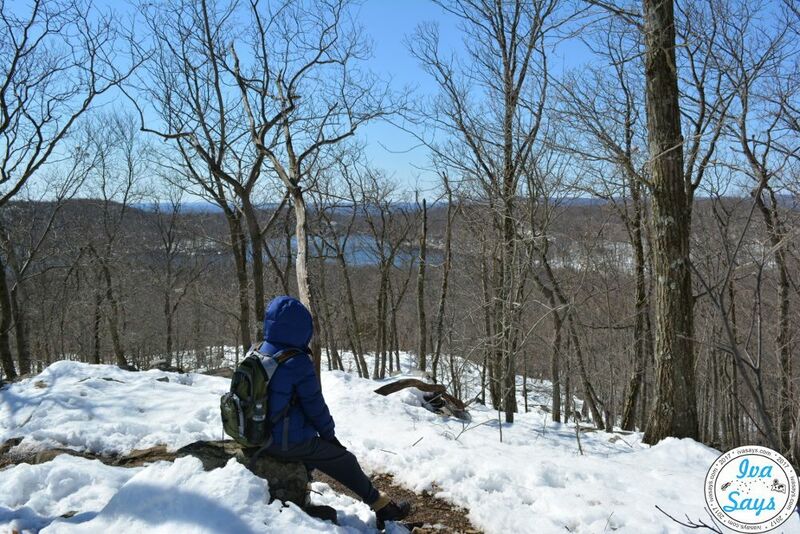 Lastly, before you head out to the state forest get the Ramapo hiking trail map and check out each trail difficulty on the official park’s site. Waterfalls in the Rampo State Forest. New Jersey has over 50 protected areas that fall under state parks, state forests, and other properties. 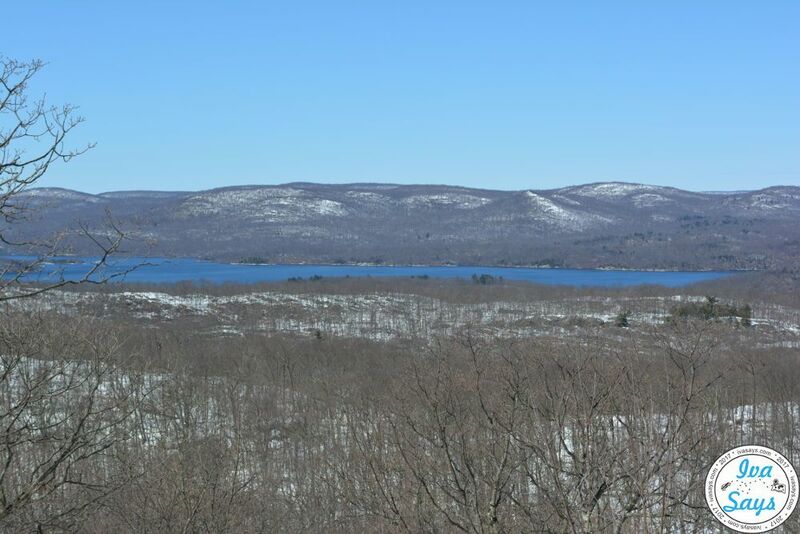 One of the most popular besides Ramapo Mountain State Forest, of course, is the highest point in New Jersey, High Point State Park. If you want to check out the state park, be sure to see the High Point Monument. The monument, a 220-foot obelisk-shaped monument, is located on the top of the hill, which is dedicated to war veterans.